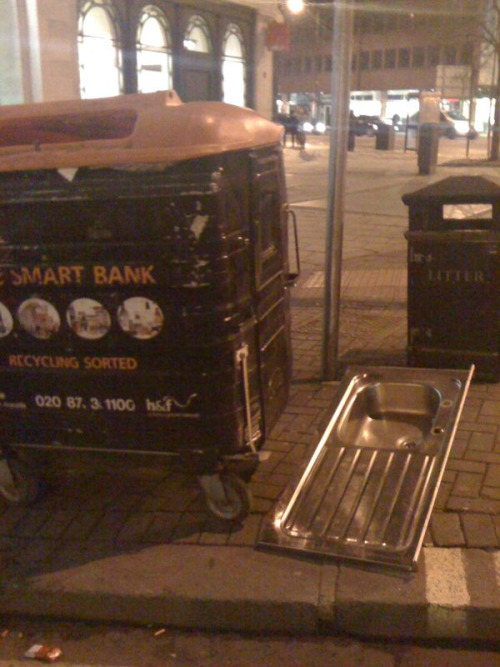 Sometimes in Hammersmith – as it turns out – people recycle sinks. Previous PostTypos on road signs in Hampstead. Awesome.